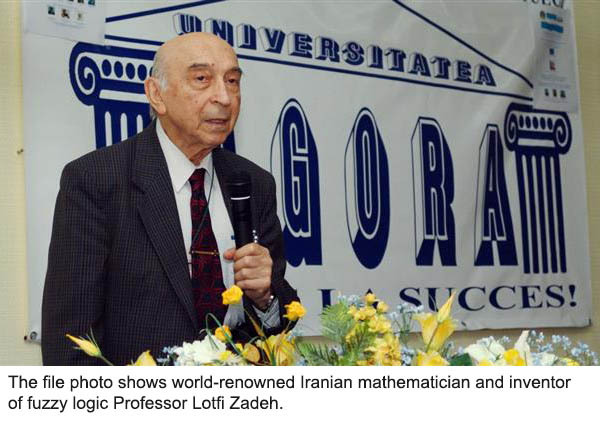 World-renowned Iranian mathematician and inventor of fuzzy logic Professor Lotfi Zadeh has passed away at the age of 96. 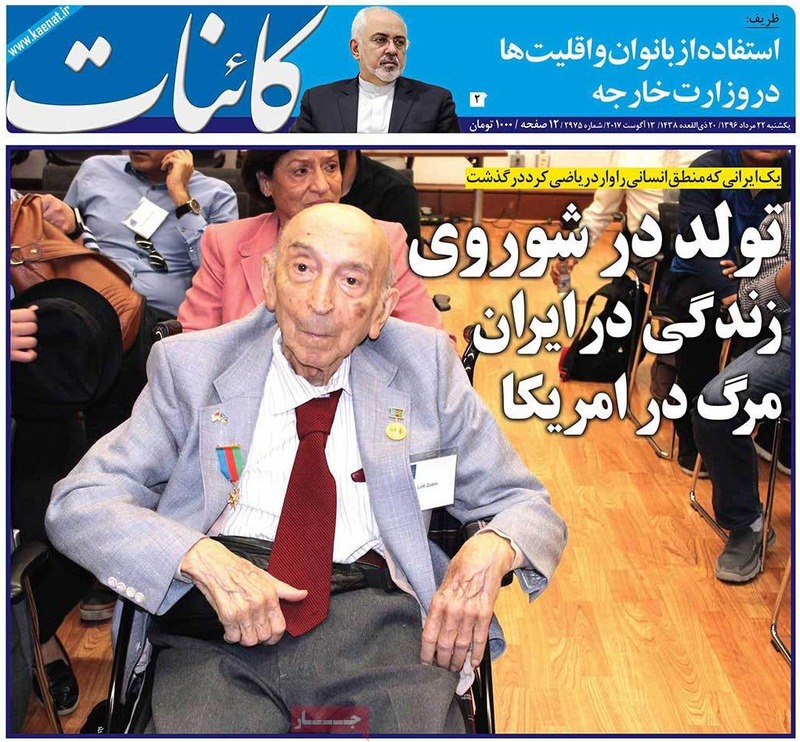 Lotfi Zadeh passed away in Berkeley, California, on Wednesday, Iranian NASA scientist, Firouz Naderi, announced the news on his Instagram page. Apart from being a famous mathematician, Lotfi Zadeh was also a computer scientist, electrical engineer, artificial intelligence researcher and professor emeritus of computer science at the University of California, Berkeley. His impressively long list of awards includes, among other things, over 20 honorary doctorate degrees from prestigious universities. He is best known for inventing the field of 'fuzzy logic' in mathematics in 1965 which enabled computers and machines to understand human instructions and expressions that are incomprehensible for conventional computer programs. The fuzzy logic has become one of the most cited theories of the 20th century. The concept led to the development of diffuse logic which opened up a whole new field of research and laid the groundwork for a new generation of more efficient technological devices, including in video cameras, washing machines, medical instruments and complex systems such as automatic trains, plants, waste management and intelligent control of car engines. The concept also transformed industrial processes by simplifying the design of products and making them more user-friendly, efficient and easy to upgrade, while reducing production costs. The renowned scientist also pioneered the development of the Z-transform method in discrete time signal processing, digital signal processing, digital control and other discrete-time systems used in industry and research. He was the author of 245 academic papers and held editorial positions in 75 scientific journals. Lotfi Zadeh was born in the former Soviet Union republic of Azerbaijan in Baku in 1921 to an Iranian father and an Iranian Jewish mother. In 1931, the family moved to Iran and Lotfi Zadeh continued his education in the country until he graduated from the University of Tehran with a degree in electrical engineering in 1942. In 1943, Lotfi Zadeh immigrated to the US and stayed there for the rest of his life. In 1946, he received an MS degree in electrical engineering from MIT and in 1949 he received his PhD in electrical engineering from Columbia University. "The question really is not whether I am American, Russian, Iranian, Azerbaijani, or anything else. I have been shaped by all these people and cultures and I feel quite comfortable among all of them," the scientist said in an earlier interview.